When you’re on the hunt for your next new Chrysler, Dodge, Jeep, or Ram, researching the models you’re interested in can be very helpful. 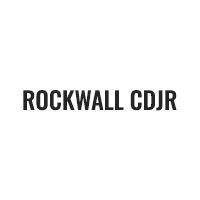 At Rockwall CDJR, we make that process easy with our convenient library of car reviews. Everything drivers near Lavon, Fate, and Heath need to get started on their research is here. If you have questions about any of our models or want to learn more about specific features, don’t hesitate to contact us! Shopping for a car is an exciting process, but it’s also a big decision to make. Whichever car you choose to buy or lease, you want to feel confident in advance that it’s the right choice for your needs and individual style. When you research your favorite options, you’ll learn more about the features available at different trim levels and the capabilities of the cars you like most. The more you know, the easier you’ll find it to narrow down your choices and pick the model and trim that suits you best. Our vehicle reviews are just one of many resources. It’s impossible to cover every aspect of a car in a single article, so if you want to know more, reach out to our automotive experts. They’ll walk you through every aspect of the new cars on our lot. Under the Hood: Learn more about a car’s powertrain, including performance specs like torque and horsepower numbers, as well as transmission options and EPA fuel economy ratings. In the Cabin: Discover what sorts of technology, materials, designs, and seating dimensions you’ll find in the interior of your car. Keeping You Safe: Find out what active and passive safety technology a car comes equipped with, along with key safety ratings from organizations like the IIHS and the NHTSA. 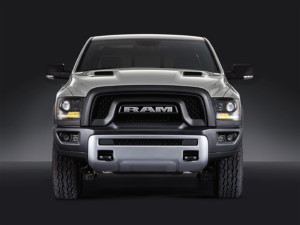 If you’re interested in shopping for a new Chrysler, Dodge, Jeep, or Ram vehicle, then follow the link on this page to the model review you want to read. When you find a car with the specs and features you like, schedule a test drive at Rockwall CDJR and decide if your choice is perfect for all your driving needs near Lavon, Fate, and Heath!